Of course it’s easy to see why DK released Bond By Design merely weeks before Spectre hit the theaters. 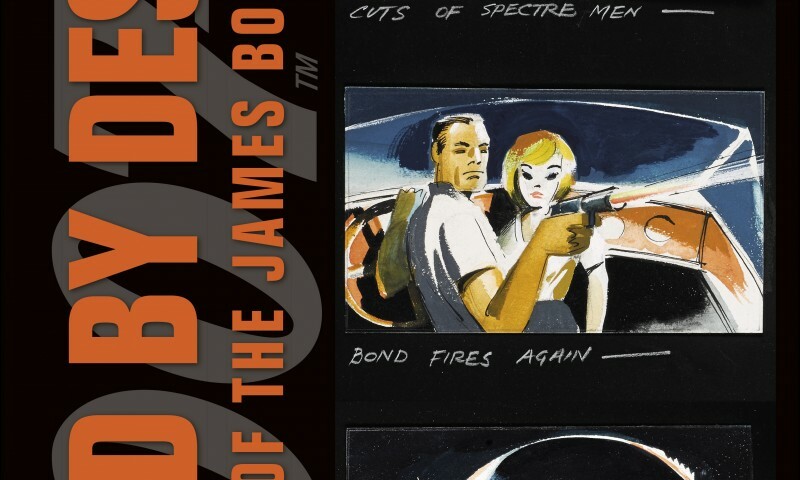 The film’s concept art shows up at the end of Bond By Design—a film concept art book built upon Ian Fleming’s spy character “Bond, James Bond.” The 320-page book feels heavy and well made, as if “Q” built its one-eighth-inch thick, gloss-covered chipboard book sleeve and cover to be durable enough to stop any decapitating flying hat. The cover features two dream-like set-design sketches which reflect the content featured throughout 60 percent of the book. 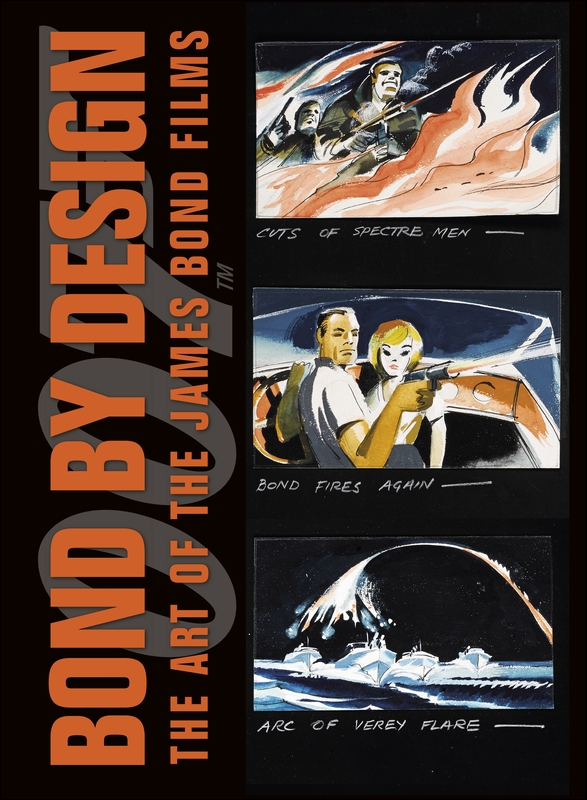 In addition, Bond By Design shows beautifully colored storyboard drawings, costume design illustrations and engineer drawings of modified vehicles, plus gadgets from Dr. No to Skyfall. Almost every piece of artwork in the book expresses a wonderful depth of images created with watercolor, charcoal and felt-tip pen. One of many artists, Sir Ken Adam, who created the core film sets from Dr. No to Moonraker, has an immaculate ability to express square footage and perspective through a single architectural sketch. Bond By Design is such an amazing book that it gives you appreciation for the artists who craft the look and feel of each set, action sequence and detail down to the mechanics of all Bond’s gadgets. I highly recommend taking a look inside this book.